Due to the increasing demand of the construction market, the capacity of the machinery is limited, the size of the factory at the cramped factory. Therefore, the Board of Directors of Phuc Ha Investment and Development JSC has decided to invest in the second PPR, uPVC and PEHD pipe and fittings factory. Location: Km 23 + 700, National Road 5, belonging to Di Su Commune, My Hao District, Hung Yen Province. Commencement March 3 / 15th put into operation in March 2016. The building area is 20,000m2 on the total area of ​​40,000m2. Phase 2, when the plant is filled with machinery and equipment, total investment is estimated at $ 40 million. Design capacity will be 132,000 tons per year. - Pipe extrusion line PP, synchronous modern of Cicinati (CH Austria), automatic feeder. - PPR pipes and fittings are diameters from D20 to D200 and have production capacity up to D500. - PEHD extrusion line, Cicinati modern synchronous line (CH), automatic feed. - uPVC pipe extrusion, modern synchronization of Kraussmaffei (Germany), automatic feeder. - uPVC pipes and fittings have diameters from D20 to D500 (including smooth and hot gaskets). - Modern machines, CNC machines. - Valves and thread for PPR thread fittings. The company always strives to bring to consumers the products of good quality, perfect service and competitive price. 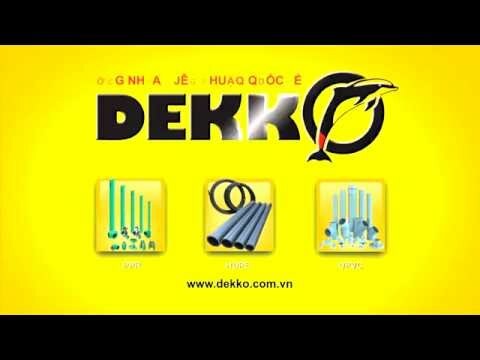 The company strives to become one of the leading manufacturers of plastic tubes and fittings in Vietnam. .